Ever since Huizinga’s Homo Ludens, humanists have been inclined to regard games and sports as subsets of ritual: a comprehensive category that includes drama, religious services, music and dance performances and more. But if the concept of ritual unites games with “high arts” such as drama and ballet, what separates them? Does a good outing by a professional football team or a well-baked cake rank right up there with Oedipus Rex and Swan Lake? And should successful computer games such as Wizardry and Seven Cities of Gold belong in the august domain of the traditional humanities? Works or activities that do not meet all of these conditions may be excellent or valuable in their own right. I do not want to imply that works in the humanities possess an innate superiority over other human achievements. But if the terms art or humanities are to have any utility as ideas that include some things and exclude others, the above definition is a start. Now to the main issue of this essay: do any computer games manifest a moral dimension in the sense discussed above? There are several classic and contemporary computer games that come to mind as candidates. 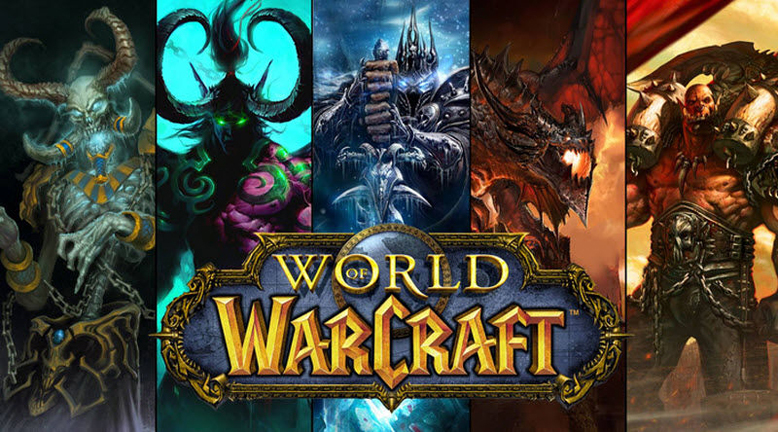 Let’s take a look at three of them: Wizardry, Seven Cities of Gold, and World of Warcraft. Wizardry was one of the first computer games to derive from the classic dungeons and dragons role-playing games. The object of such games is to slay monsters, build up the power and life-capacity of your characters, and accomplish preassigned tasks. To an over-the-shoulder observer, the substance and purpose such games would seem quite the opposite of any moral dimension. Slaughter is encouraged, and enemies are butchered without any compunction whatsoever. The death of an enemy not only preserves your characters’ lives, but also enhances them with status and power by endowing them with more booty and enhanced abilities. Wizardry encourages and rewards virtual slaughter and greed. In actual gameplay, however, there seems to be at least one moral dimension built in to the program. If your party consists of characters with a “good” alignment (dungeons and dragons game characters are usually created with good, evil, or neutral affiliation) meets a wandering band of monsters and attacks them without provocation, there is a chance that one of your characters may have its alignment changed by the program. That is, if all your characters started out as “good guys,” there is a chance that one of them maybe turned into a “bad guy.”The consequence is that the transformed character will not (without considerable hassle) be able to go out adventuring with your good guys again. The character has permanently switched alliances by its behavior. So, we might ask, isn’t this a moral component, however slight, built into Wizardry? The programmers have encouraged you not to beat up on random denizens by punishing you if you do so. So it might seem at first sight. However, an analysis of players’ motives reveals that this feature of the game is not to be taken as a moral directive: unwanted character alignment switch is simply one more pitfall that must be avoided on the way to winning the game. Players should not attack game characters — but not out of sympathy for their well-being or rights as fellow creatures. As a player, you leave them alone because you want to avoid the aggravation of being forced out of your party’s group. The moral universe of Wizardry remains the same: destroy, accumulate booty, amass personal power. Seven Cities of Gold is an imaginative simulation of the Conquistadores’ exploration and conquest of the New World. The goal of the game is to map and evaluate territory of North, Central, and South America, just as if the early Spanish had done so. The player earns points and advances in rank by mapping territory, discovering the seizing gold, and setting up missions and trading posts. And in the course of adventuring, the player meets the Native Americans of this virtual continent. Dan Bunten, the primary designer of Seven Cities, had been an avid , lifelong admirer of Native American culture. Personally, he deplored the killing and colonization of these people as an appalling historical episode. He wished that history had been otherwise. However, in programming Seven Cities, he was committed to designing a game that accurately described the Spanish program of exploration, colonization, and religious conversion. Was there some way that, in allowing modern-day players to simulate the role of the Spanish explorers, he could encourage trade and peaceful contact, and discourage slaughter? The key to Bunten’s plan for encouraging peaceful interactions lay in joystick action during combat. Historically, there were armed conflicts between Native Americans and Europeans, so a combat mode was incorporated into Seven Cities. But in armed confrontations with native settlements, however, Europeans often found it difficult to eliminate opposition by combat alone. Bunten took advantage of this situation by making it easier to amaze the natives or trade than to fight. By clever programming, Bunten worked it out so that if a conquistador lost 20 per cent of his forces in battle, a fear element partially disabled the rest of his troops. Translated into gameplay, this meant that the player lost partial control of the joystick. In Seven Cities, it is very, very difficult to defeat large Indian settlements with less than full joystick control. And if your party lost, they had to slink back to Spain in disgrace. The partial joystick control loss seems to represent a moral decision implemented as a programming feature in Seven Cities. The feature seems to be a reasonable compromise between historical accuracy and a genuine desire on the part of the programmer to encourage peaceful behavior. One again, however, we must ask whether the purported moral bias programmed into the game induces or influences moral behavior on the part of the player. And once again, the answer must be “No.” All players (except Bunten himself) that I have observed see the loss of joystick control as simple one more obstacle to overcome. The net effect of the restriction, ironically, is to put a premium on superb joystick handling: waste the enemy before they kill off twenty percent of your forces. Those who opt for peaceful contact in order to avoid the loss of support troops and the disgrace of defeat are seen, in the world of joystick aces, wimps. Even if this negative appraisal were not present, the moral dimension of Seven Cities remains very modest. The goal of the game is, like most other computer games, to accumulate point and win — by whatever means possible. The world of Seven Cities is several cuts above the usual destroy-and-rule ethic of programs like Wizardry or World of Warcraft. But as a world that sets forth social situations that evoke moral responses, Seven Cities of Gold does not even belong in the same league as Dragnet or Blue Bloods, much less those of Othello or The Brothers Karamazov. A good deal of this lack of a genuine ethical dimension in Seven Cities has to do with the drawbacks of the medium itself. Given current limitations of computer memory and chip speed [at that time], characters are rendered simply and manifest very little personality. They possess only limited animation mobility and little facial expression — expressions which provide a rich field for psychological revelation for painters, photographers and film-makers. In woe world of computer-generated characters, there is little beyond stock grimaces. Monsters and enemies may snarl, but they rarely discourse in any mode that might make the players regard them as sentient beings and therefore worthy of human or humane considerations. Even the advanced Indian civilizations of Seven Cities have few identifiable landmarks of culture on the screen. The huts are crudely drawn, and the Native Americans’ stock of verbal responses is limited to a few words. We see no children, np aspects of family or communal life — nothing, in other words, that might elicit the players’ capacity for sympathy or understanding. Alan Turing, one of the founders of the science of cybernetics, out forth a famous proposition in order to resolve the question: “How can we tell if a machine possesses genuine intelligence?” To resolve the dilemma, Turing proposed the following test: In a room, place a barrier. On one side of the barrier, you stand with a device for communication. On the other side of the barrier, put another human being and a computer. You are allowed to converse in any way with the person and the machine on the other side. If you cannot tell from their responses which is the machine and which the human, the you must grant that the computer possesses intelligence. So far, no game or simulation has come remotely close to passing the Turing Test. And here, I think is the reasons why the moral dimension of computer game is so thin — almost non-existent. The state of programming is, at this point in time, too primitive to allow for a moral dimension. Wizardry and Seven Cities bear as much relationship to real war and real exploration as a game of monopoly does to the strategies of sophisticated warfare or adept financial planning and execution. No machine yet possesses anywhere near the pseudo-ethical capability required for simulation of a single human being. When such a machine does come into existence, the human race will be faced with more serious questions than the winning or losing of a game. There is another aspect of computer gaming that does involve moral decision-making: not ethical or pseudo-ethical precepts planned into the program itself, but an attitude towards winning fostered by the game itself. The questions raised here are more meta-ethical than ethical because they involve decisions about playing the game, not decisions within the game itself. Let me give an example. You buy a fantasy game for your computer — Wizardry, Seven Cities, or any one of innumerable “slay-and-gain-power” programs. But much to your annoyance, you characters get slaughtered every time you take them into the battlefield or dungeon. Or perhaps you lead your character through the ranks, rising slowly to new powers and status. Then, after a month of game play, some vampire seizes your character and drains it twelve levels in juts a few seconds, or perhaps destroys it with no possibility of resurrection. The key [in the early days of game play] is frequent saving your characters to a backup disk. That way, if something disastrous happens to them, you can simply load them from the backup, and all was as it was before the disaster. Careful disk manipulation can save you from setbacks like the one described above. There is another way to — well, not exactly cheat, but utilize shortcuts. Most dungeons and dragons games involve a good deal of mapping. You move your character forward a space; then you take up your sheet of graph paper and plot the movement. If there is a message attached to the new space, you write that down. When you come to a fork in the road, you stop and draw again. Some players find mapping fun and an important part of the challenge of the game. Others find mapping a necessary bore. For this latter group, there are companies that sell maps of the most popular board and computer games. For a few dollars, you can purchase the maps, learn where the monsters and treasures are, and sometimes find out hidden ways to advance your characters several levels quickly. Still other companies manufacture what are sometimes called “workbench disks.” These disks allow the player to intervene directly into the master game disk and create new treasures, fabricate superheroes, and more. Predictably, manufacturers of the original game programs deplore this practice, asserting that the workbench disks destroy the delicate, premeditated balance that the original programmers built into the game. Disk manipulation, map purchase from third parties, workbenches — is all this cheating? Is it on a par with dealing off the bottom of the deck in poker, or shooting craps with loaded dice? In a wider moral perspective: does the habitual manipulation of the programming inside a computer game encourage a similar attitude in life? The dictionary tells us that to cheat is “to practice fraud or deceit” or “to violate regulations unfairly.” On the first of these criteria, the manipulation of computer games by the use of outside aids does not seem to be cheating, except in the limited sense of cheating oneself. Fraud and deception require a second party victim. Unless we are playing an internet-based game with other players, program manipulation seems to be on a par with peeking at a downturned card in solitaire. The second meaning of the term — “to violate regulations unfairly” — bring up the distinct possibility of more serious dishonesty. Here, the first question should be “whose rules?” The answer would be “the rules of the programmers who designed the game.” But never have I seen a computer game manual that explicitly forbids the use of external aids. And rarely have I seen a manual discourage (though not forbid) the practice. In fact, there are entire organizations (such as, in the old days, Questbusters) devoted to the deciphering of computer game secrets and publishing the results for their members. In recent times, World of Warcraft forums often discuss ways of getting around program obstacles for the benefit of players. Therefore, it might be argued, that if players are not violating any explicitly regulations issued by the game manufacturers, they are not cheating. In some cases, cheating by utilizing external manipulators carries its own punishment. The reason that most war games are fun to play is the vicarious sense of danger (for your character) involved. A player’s characters might get wiped out by the monsters facing them, so the players themselves do their best to play the game intelligently. If a player uses an external cheat program to create invincible superheroes, the challenge, and therefore the fun, diminishes. “Why not?” The answer to this question seems not straight-forward. If the manipulative behavior stays within the confines of the computer game, there’s seemingly no harm done — unless there are other, unmodified opponents fielded by other adversaries. In addition, there is the possibility that bending the rules in the game might lead to or encourage bending the rules in real life. The computer games themselves are not responsible for encouraging cheating. But, as the old saying has it, power does not corrupt: it only brings out the corruption already there. Since I first published this essay in 1991, many changes have taken place in the world of computer gaming. On the theme of cheating, I’ll recount one company’s efforts, not only to forestall game manipulation outside the unspoken rules, but actually to turn a profit from the venture. A player could go to the World of Warcraft Shop — an internet-based site where players could buy fancy equipment, pets, game times, etc. — and purchase game time tokens. These tokens are goof for many hours of play, and typically cost $20. Purchasers could also sell these tokens in the auction house, and were guaranteed a purchase price in game gold — usually in the 20,000-30,000 gold pieces range. This way, players with ready real-world money could gather up enough gold to purchase expensive weapons, armor, pets, mounts, etc., within the game. So the players got their gold, and Blizzard — not foreign gold farmers — reaped the profit. 1) “My reason for rejecting the definition of art as all craft is pragmatic. Directors of art museums would go crazy if they had to exhibit the pies and jellies that win prizes at country fairs, and the nylons and dishmops and cigarettes that are definitely superior to anything else in the world. You can’t use such a broad definition in museology. Secondly, foundations that sponsor the arts do not give grants to famous chefs and dressmakers, to pharmacologists, or even to surgeons, who have developed some of the highest skills of which humanity at present can boast. Popular usage is not a decisive measure of meanings, but to defy it does demand some special reason….